All eyes will be on the Dallas receiver as he inches toward a quick return from a fractured fifth metatarsal in his right foot. The Cowboys have been cautiously optimistic about a six-week recovery ever since Bryant went down in Week 1. Part of the reason for the optimism stems from their unique and proactive approach that included a bone graft on the initial surgery and a bone marrow injection to stimulate the healing process. Bryant has shed the boot and begun straight-line running but has yet to make hard cuts on the injured foot. That motion will be a true test of the strength of the bone as it’s placed under high amounts of stress. Bryant will not be permitted to return until he can perform this action without pain or discomfort. 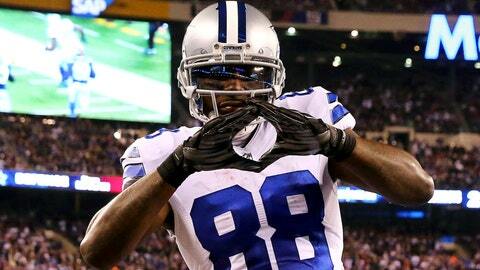 Expect the Cowboys to test Bryant on Wednesday or Thursday to see if a Week 7 return is possible. Having Dez in the lineup would be a big boost for a Dallas offense that is set to start Matt Cassel at quarterback after three poor outings from backup Brandon Weeden. However, I’m guessing Bryant is still at least a week away, given his current level of participation. The Titans rookie quarterback has been diagnosed with a sprained medial collateral ligament (MCL) in his left knee. Tennessee remains tight-lipped on the specifics, though unconfirmed reports of a Grade II sprain have surfaced. A Grade II sprain indicates a partial tear of the ligament, meaning the integrity of the joint has been compromised. As a result, the MCL will not be able to stabilize the inner portion of the knee during movement, particularly lateral or side-to-side movement. The situation is very similar to that of Buffalo’s Tyrod Taylor and would affect Mariota’s mobility in a similar fashion. Fortunately, the MCL is capable of healing without surgical intervention and Mariota simply needs time. It appears he avoided any bone or cartilage damage that would complicate the recovery process. A brief absence is therefore possible, though the Titans have not established an official timeline. There is an outside chance Mariota could play against the Falcons, but Zach Mettenberger probably will get most of the practice time with the first-team offense. Play it safe and look elsewhere, even if Mariota manages to play. The Steelers have a bit of a conundrum on their hands, with both starting quarterback Ben Roethlisberger (knee) and No. 2 signal-caller Mike Vick (hamstring) limited by injuries. Roethlisberger continues to make his way back from an MCL sprain and plans to practice this week, but a bone contusion suffered on the same play is slowing his recovery process. Vick suffered a hamstring strain over the weekend and is unlikely to be available for Week 7 against the Chiefs. No. 3 quarterback Landry Jones looked much better than Vick in limited action against the Cardinals, and Jones could make his first career start this weekend, even if Vick recovers faster than expected. The situation should have some clarity by Friday, so keep a close eye on who is getting the first-team reps.
Keenan Allen: Philip Rivers’ favorite target hauled in 14 receptions for 157 yards Sunday against the Packers despite missing most of the second half with a hip injury. There have been conflicting reports as to what exactly Allen injured. Initial reports suggested it was a hip flexor or muscular injury, but according to recent reports, Allen might have suffered a sprained hip. A sprain to the area would be a bit more alarming, as it could affect the stability of the joint and lead to a more problematic or severe ailment. A hip flexor strain would still be an issue worth addressing, but it would provide the San Diego medical staff with a few more options during treatment. Regardless of the affected tissue, the Chargers are downplaying the severity of injury and hope Allen will be in the lineup for Week 7. Monitor his availability throughout the week and cross your fingers that the nature of the injury will become clear in the coming days. Odell Beckham: The Giants’ superstar receiver continues to be bothered by a hamstring strain, though his productivity appears largely unaffected, as he finished Monday’s loss to the Eagles with seven receptions for 61 yards and a touchdown. Given his track record, the hamstring likely will remain an issue, making him a regular on the Giants’ injury report. Atlanta receiver Julio Jones is facing a similar situation but, like Beckham, is also too good to bench. 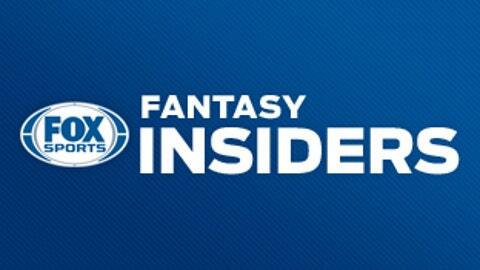 For the latest fantasy advice, analysis and information delivered right to your inbox, sign up for the FREE Fantasy Insiders newsletter today! Jeremy Maclin: The Chiefs’ wideout has been placed in the league’s concussion protocol after sustaining a head injury against the Vikings. Maclin doesn’t have a history of diagnosed concussions, though he has been evaluated for the injury on multiple occasions. The effects of head injuries are cumulative, so the potential for the symptoms to linger is present. He will return to the field when the protocol is complete, but don’t be surprised if he is a game-time decision this week. Tony Romo: The Cowboys’ quarterback is still several weeks away from returning despite shedding the sling from his injured shoulder. Romo has been out since fracturing his collarbone Week 2 and will be eligible to return Week 11 against the Dolphins. The aforementioned Matt Cassel will be the likely starter until then and could be a serviceable fill-in depending on the matchup. T.J. Yeldon: Unable to play through a groin injury, Yeldon was inactive for Week 6 against the Texans. The groin muscle group is utilized in a motion known as adduction, a primary component of lateral movement. Any limitation here would affect Yeldon’s ability to make hard cuts and elude would-be tacklers. He’ll try to return to practice this week, but with the Jaguars playing in London and facing an early start on Sunday, Yeldon could easily become a precarious play. Toby Gerhart and Denard Robinson were both unimpressive while splitting carries in Week 6. 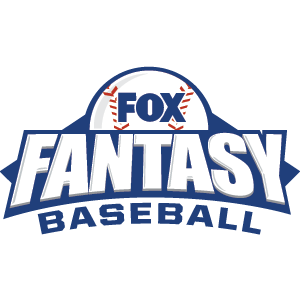 Stotts works as a Certified Athletic Trainer (MAT, ATC, PES, CES) and is a former winner of the Best Fantasy Football Article from the Fantasy Sports Trade Association.